MT. CHASE, ME - Our loving mother and GG Nana, Francena Serpes Masotta, 85, passed away peacefully on Tuesday, January 15th, 2019 in Houlton. She was born August 12, 1933 in Boston the daughter of Charles & Francena (Spear) Serpes. She lived a full life from her summers on Nantucket as a child into her teens. 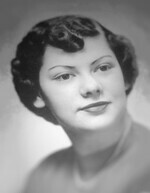 Fran started working for New England Telephone & Telegraph Company at the age of 18. She was a life member of the Pioneer volunteer Network. From Cape Cod, Myrtle Beach and Maine, she spread her joy. Fran's selfless love for her family carried her throughout her life. Francena is survived by Patricia Masotta, Robert Masotta, Susan Cullen Masotta, James Masotta, Linda Sargent; 9 Grandchildren and 8 Great grandchildren. She was predeceased by her parents Charles Serpes, Francena Spear; husband, John J. Masotta Jr. and her beloved son, John E. Masotta.